Vivek was asked in a rapid-fire round if Salman Khan was given a truth serum, what would he ask him. 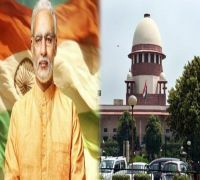 Vivek Oberoi's PM Modi biopic landed on murky waters after the election Commission stalled the release of the film. 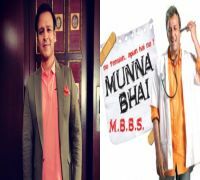 Vivek has left no stone unturned to promote the upcoming biopic and has even asked the support of Bollywood actors, filmmakers for their support. Recently the actor was in conversation with Bollywood Hungama and was asked if Salman Khan was given a truth serum, what would he ask. Vivek's reply to the question is what's making headline now. For the uninitiated, differences between Salman and Vivek's started in 2003, when the Masti actor had called a press conference only to accuse Salman of drunkenly calling the actor and threatening to kill him. Rumours were ripe that the tiff happened after Vivek Oberoi fell for Aishwarya after they started working in the sets of Kyun! Ho Gaya Na. Soon after the press conference, Vivek career suffered a downfall. Meanwhile, Vivek's film is based on our current Prime Minister Narendra Modi and is helmed by director Omung Kumar. The film was initially slated for an April 11 release. 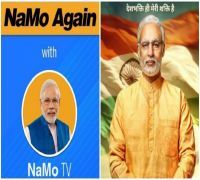 Along with Vivek Oberoi, PM Narendra Modi will also star Boman Irani, Darshan Kumaar, Zarina Wahab, Manoj Joshi, Prashant Narayanan, Barkha Bisht Sengupta, Akshat R Saluja, Anjan Shrivastav, Rajendra Gupta and Yatin Karyekar in pivotal roles. The biopic is produced by Sandip Ssingh, Suresh Oberoi, and Anand Pandit.